I've combined this recipe with this one. 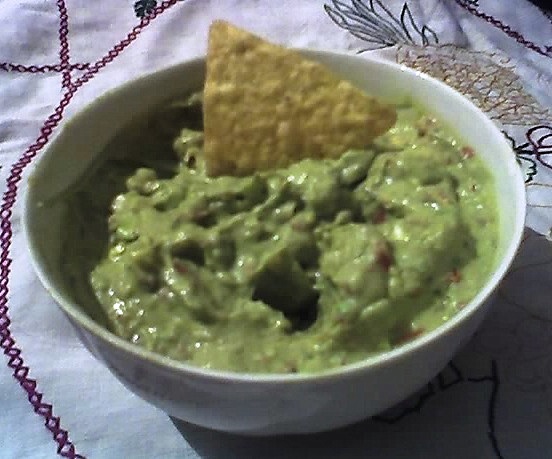 Just blend the pulp of an avocado, a tomato, garlic, green onion, freshly ground pepper (black, white and green), salt, lime juice, lemmon juice, two tbsp. of cream cheese and eat with tortilla chips.